This major remodel opened the home to the Pacific breezes, forged a refreshed contemporary style, and reunited the indoors with the sea. 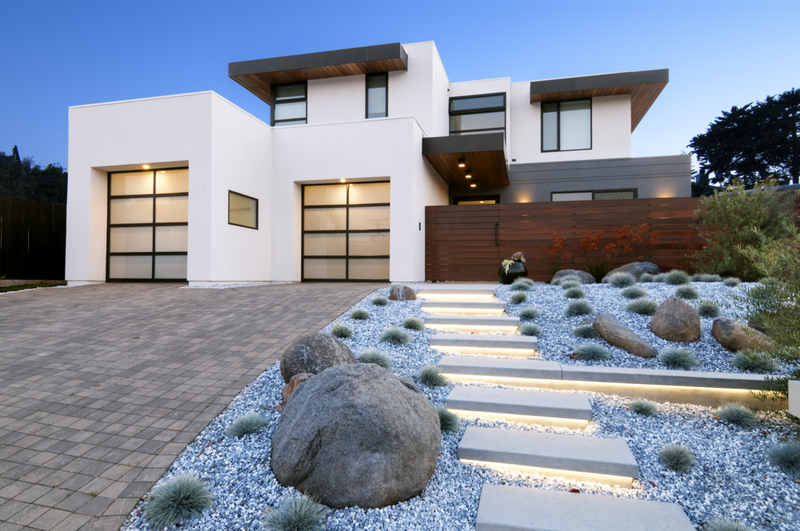 This new home sets a tone with clean lines, smooth stucco contrasting rich wood, metal, and glass. The quality of construction is impressive, and the beautiful landscaping is easy on the eye while preserving our most precious resource. This complete remodel and second story addition highlights the potential for existing 70's tract home conversions. Popular earth tone smooth stucco meets warm wood and familiar clean lines. Quality windows, attention to detail, and a high level of construction quality made this a impressive project. The original home, a major fixer-upper seen in the last picture, claimed to have been constructed from wood once used as a Camp Pendleton army barracks from the 1940's. 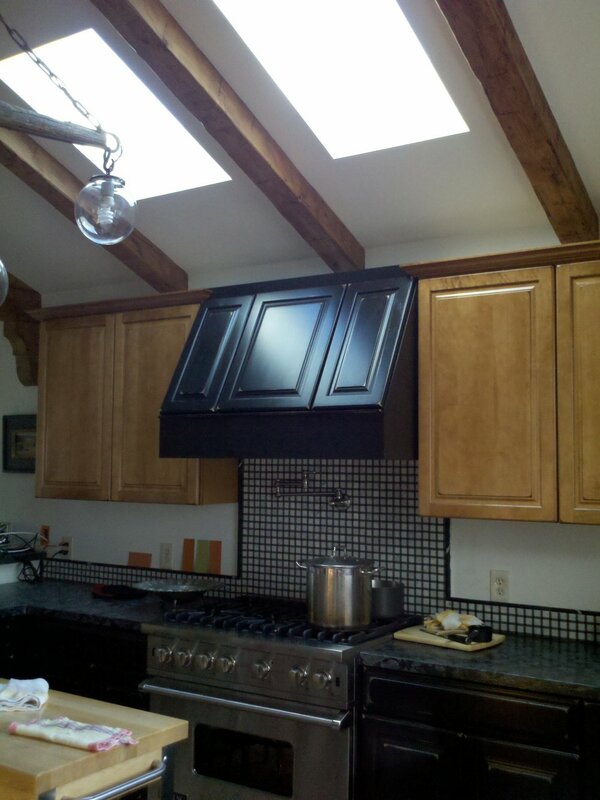 The vision was to completely renovated the interior and exterior of the home. 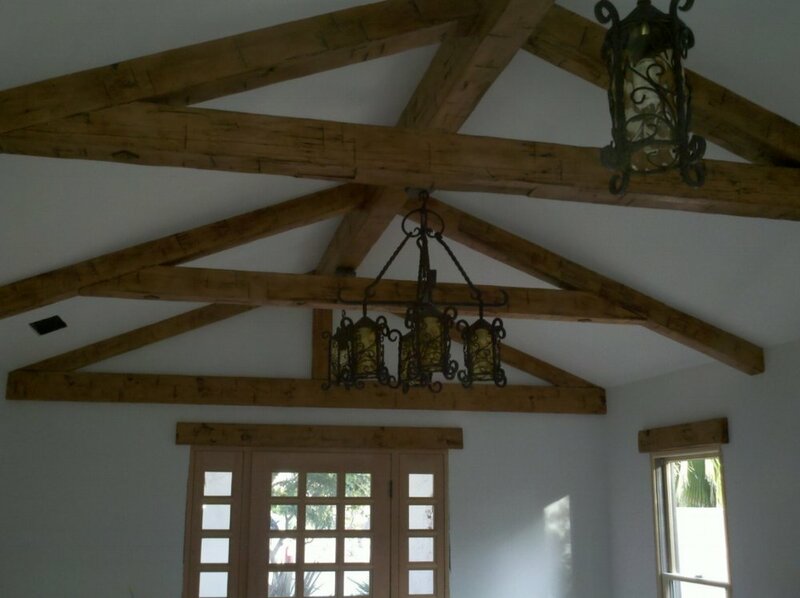 Vintage timber was used for the trellis, interior trusses, and window headers. 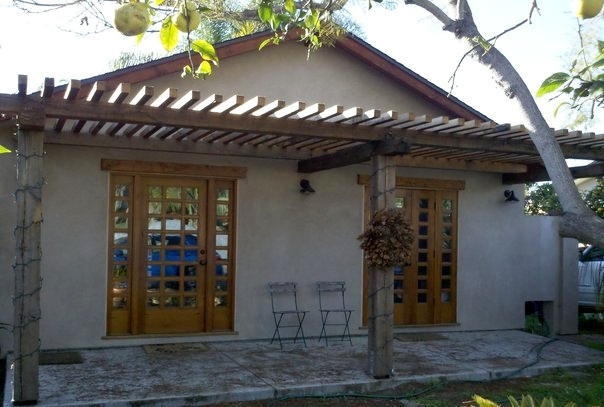 The well crafted beautiful wood doors contrasting the smooth light finish stucco makes this home a little prize for the eye, and a warm welcome home for the owners. A hidden gem. This custom home is a fusion of tradition, quality, beauty, and function.